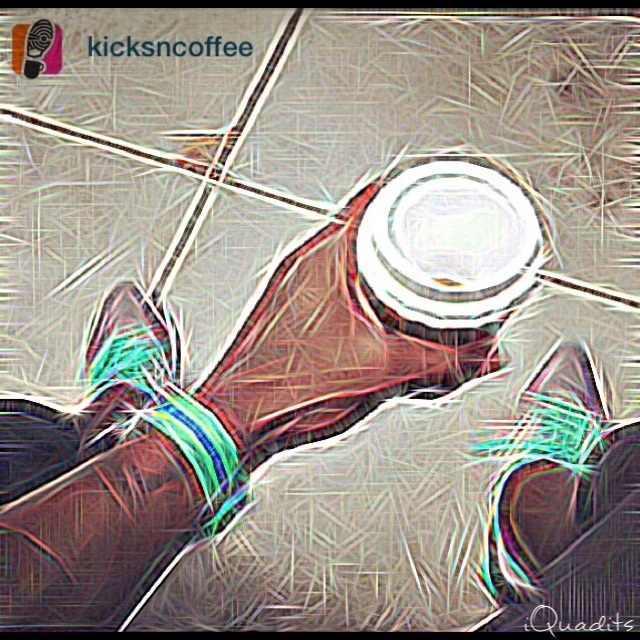 Kicks and Coffee two things I can’t do like I want to… By no means have I ever been a sneaker head but I like a fresh pair of kicks with a little bit of lace game. Now here is where you’d think the wheelchair guy would have a leg up (lol) seeing that they stay safely planted on the chair, his/her shoes should always be fresh and clean with the lace game crazy well… Nope, not for this quad guy. Here is the problem, obviously with my limited hand function I can’t lace them myself; no problem I get my cool nephew to hook them up but as soon as my nurse goes to put them on for me it’s over! First no matter how loose they are she feels the need to stretch and pull them all crazy (did I mention I wear my shoes a half size too big to accommodate for swelling due to being in the chair so there is plenty of room). Then once there on, what does she do? Pulls them tight and double knots them like I’m about to run marathon. Now let’s just say I get my nurse trained in proper shoe etiquette, I have two lovely little boys that like to hop on my lap and stomp on my feet on the way up. So there it is my nurse kills the fresh and the boys kill the clean! Now as for the coffee it’s a grip thing. Over the years my grip has improved but not enough to where I feel safe slinging a hot cup of coffee around, just yet. I give you all that lovely quad back story to say there is still work to be done, even 4 years post injury. The need for setting goals and hitting the gym and therapy are on going. This year I’m aiming high! 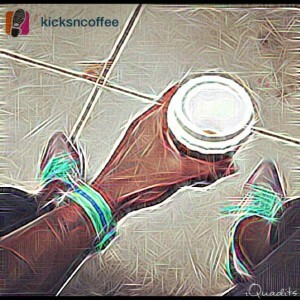 I want to up my strength and skills so I can strike that perfect KicksNCoffee pose and get my feature on their page. to participate in my therapy fundraiser raffle. Prizes include $500, $300 and $100 cash! This entry was posted in Events/Fundraisers, Random Thoughts, Rehabilitation and tagged Catastrophic Injury, coffee, instababs, Instagram, insurance, Jordans, KicksnCoffee, occupational therapy, physical therapy, project walk, quad, Quad-Life, Quadriplegic, race to walk, sci, Shepherd Center, shoe game, sneaker head, Spinal cord injury, tetraplegic, Wheelchair. Bookmark the permalink.